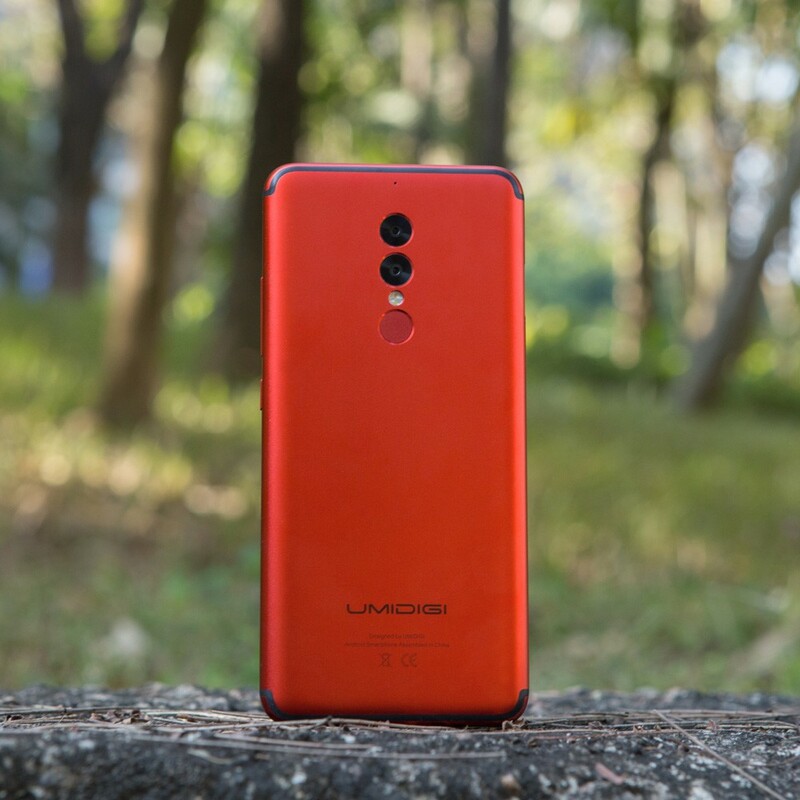 UMIDIGI S2 Lite features a 18:9 6-inch 1440x720P screen, delivers bright and natural images while ensures comfortable hand hold feeling. 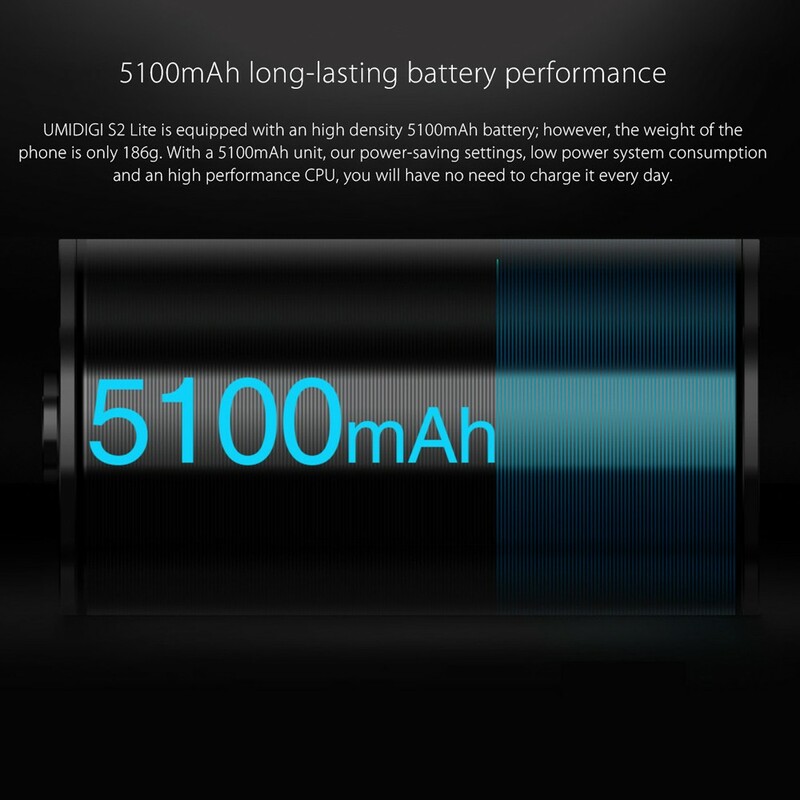 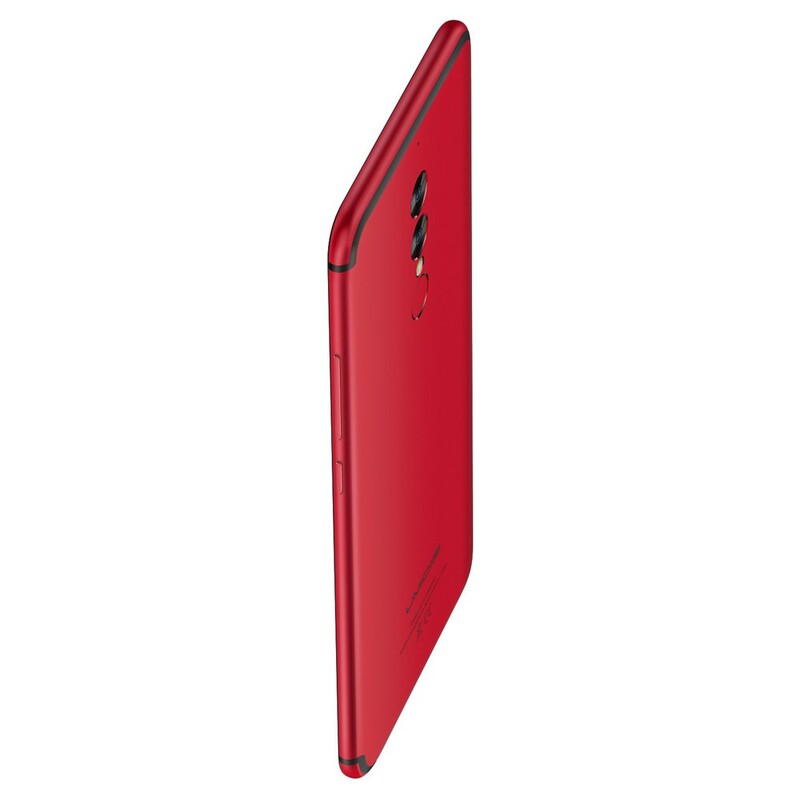 With 5100mAh larger battery and power-saving settings, provide enough power for a whole day. 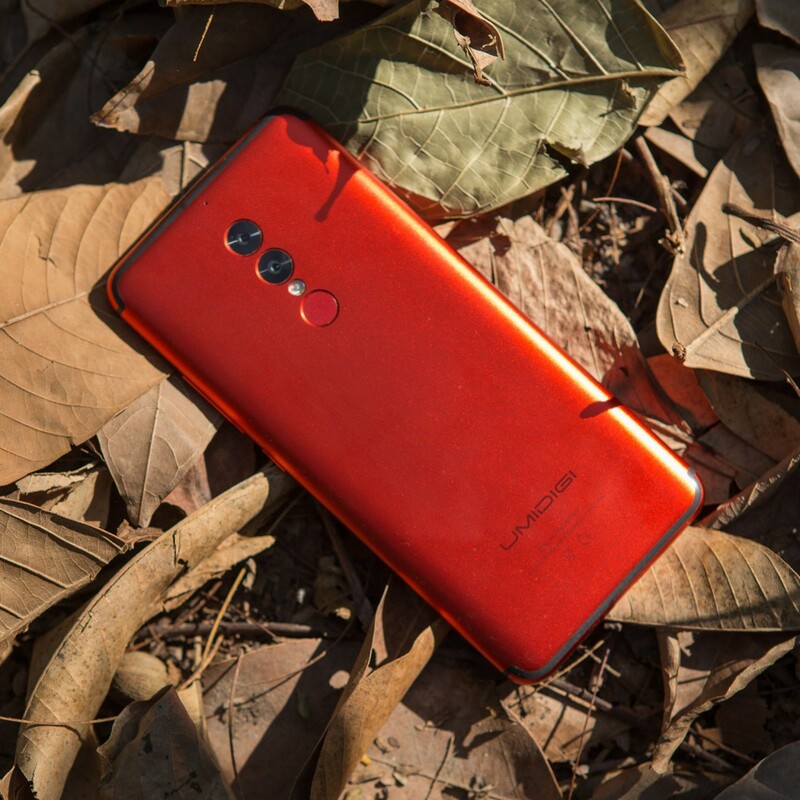 MTK6750T octa core processor, Face ID, 4GB+32GB, 16MP+5MP dual back cameras, all in a competitive price. 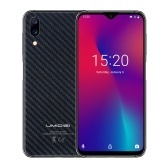 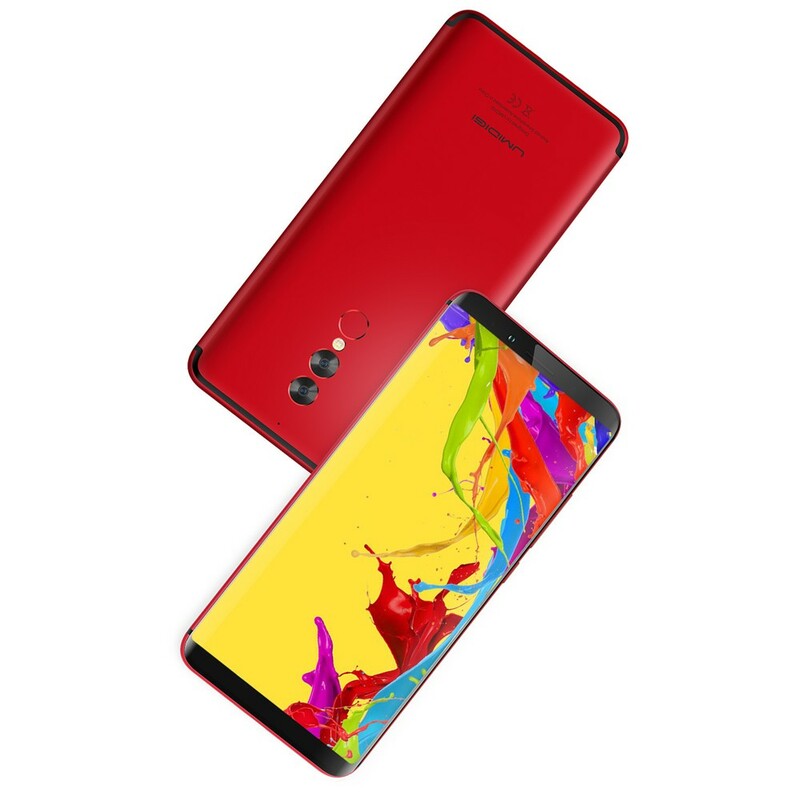 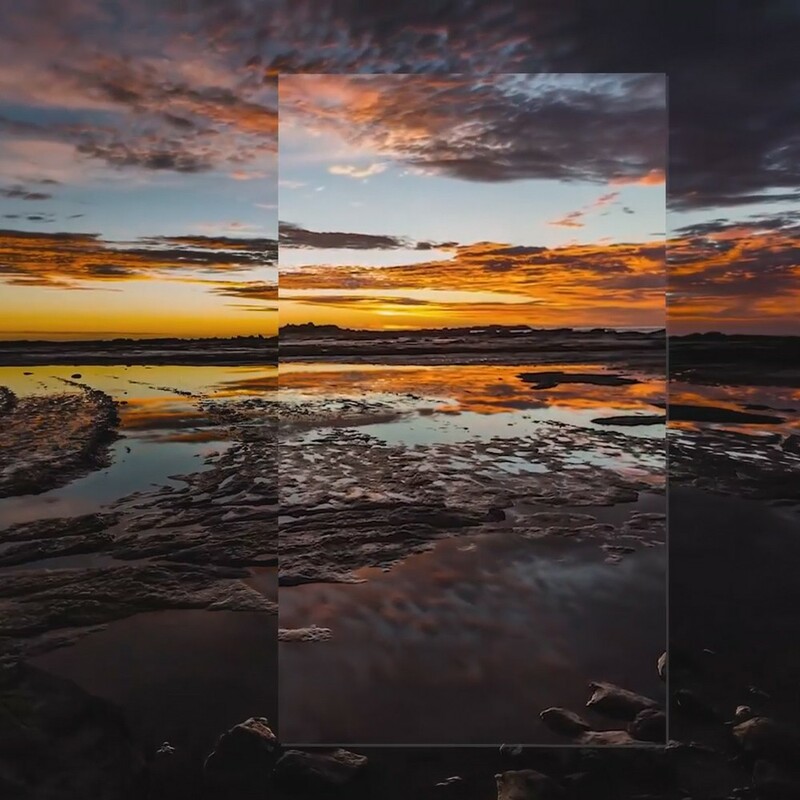 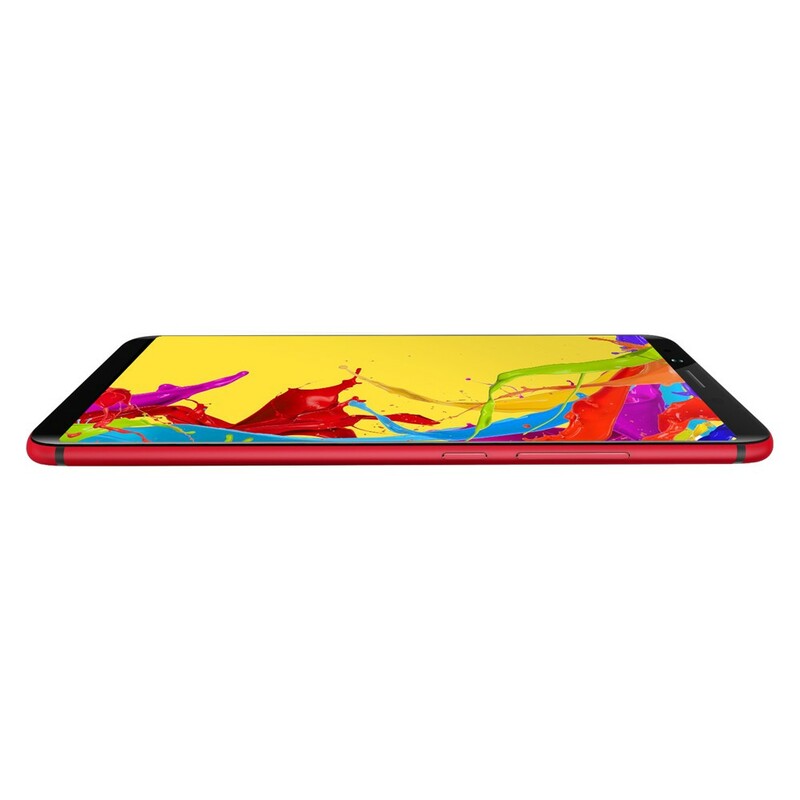 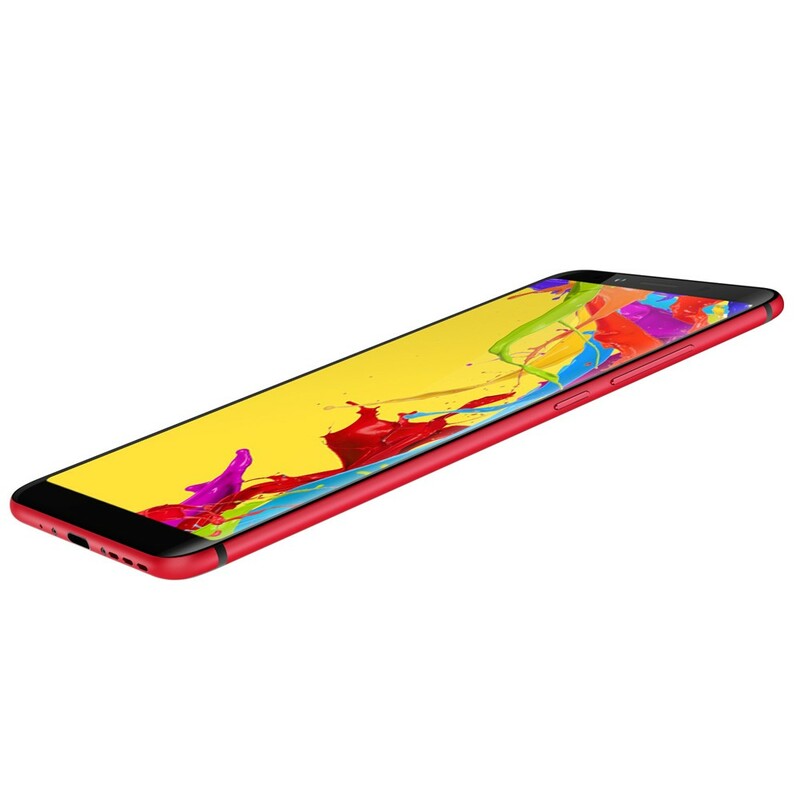 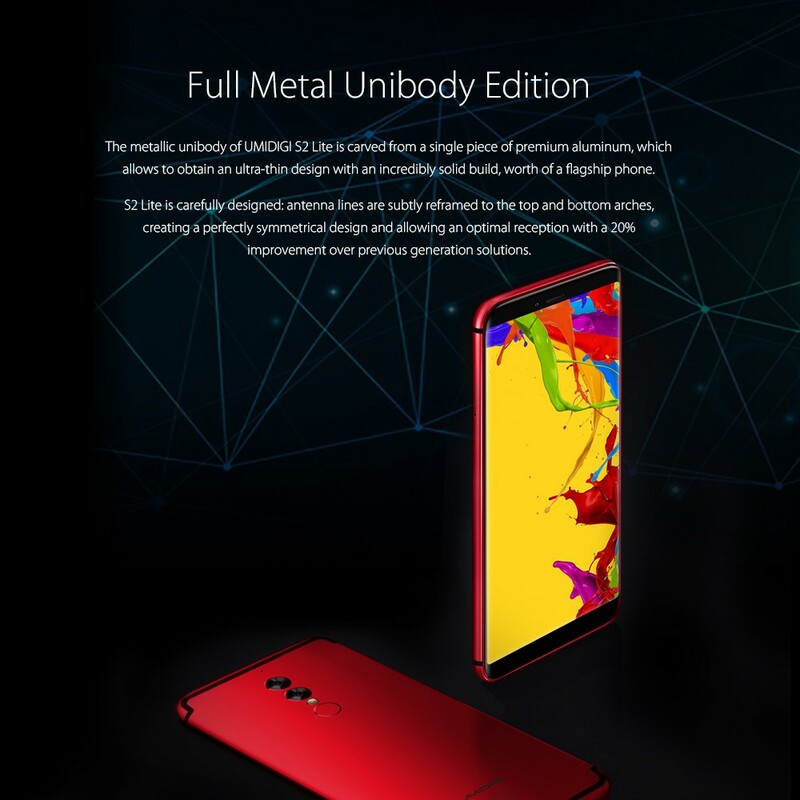 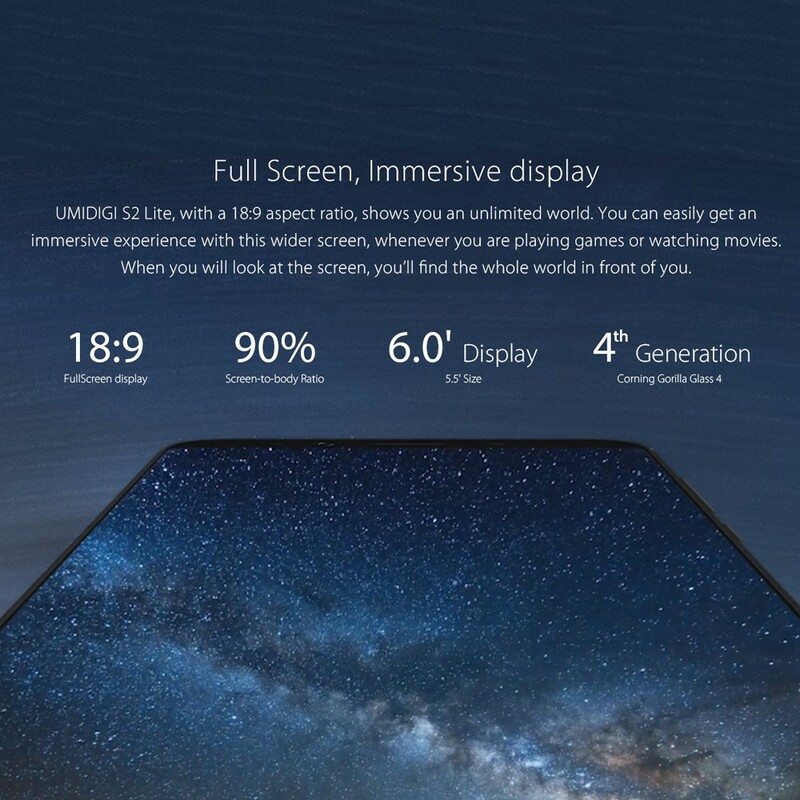 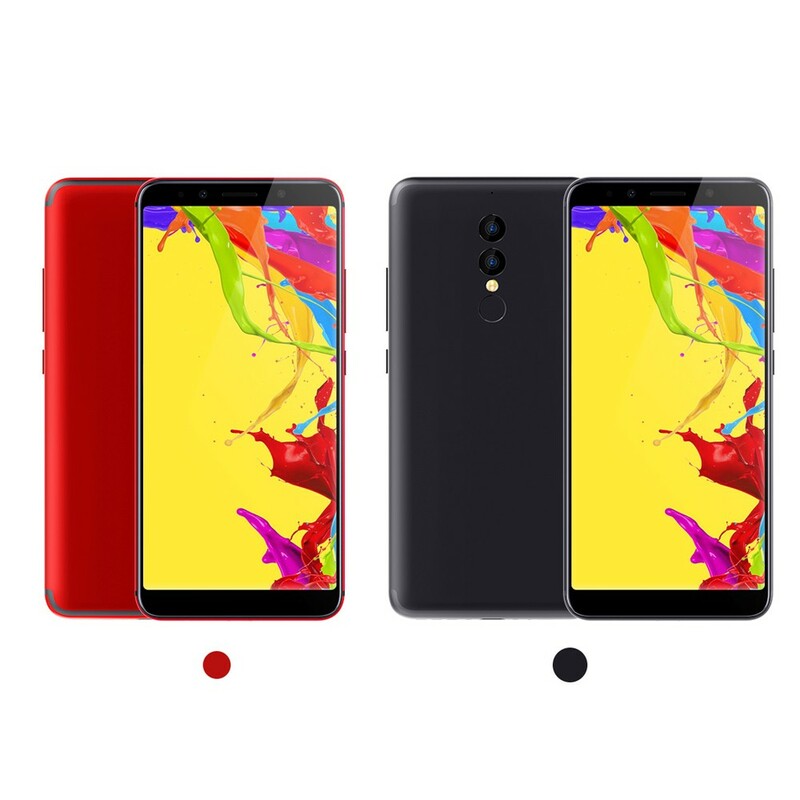 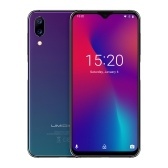 See More, Hold Less: UMIDIGI S2 Lite features a 18:9 6-inch 1440x720P screen, delivers bright and natural images while ensures comfortable hand hold feeling. 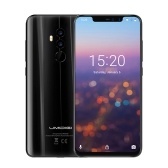 Face ID 2nd Generation: An improvement over previous generation. 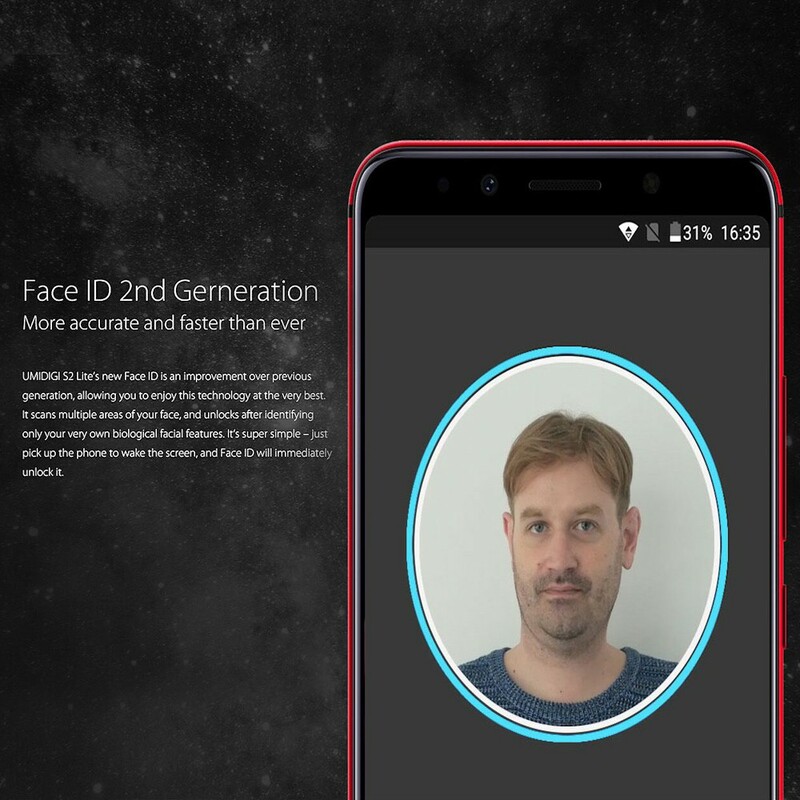 It scans multiple areas of your face, and unlocks after identifying only your very own biological facial features, safer and faster. 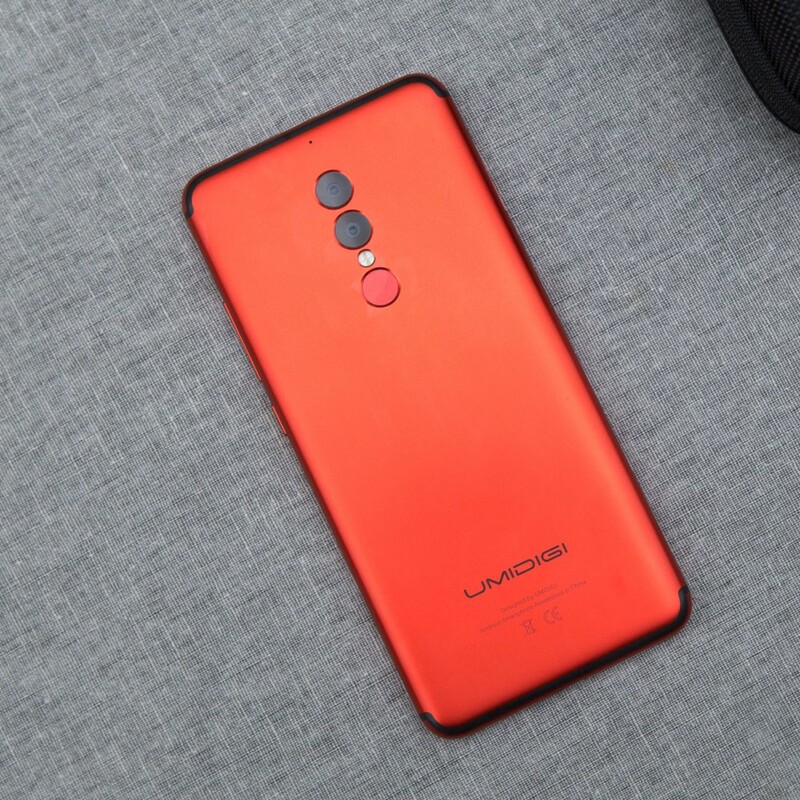 Long-lasting Battery: Equipped with an high density 5100mAh battery and power saving settings, low power system comsumption and an high performance CPU, you will have no need to charge it every day. 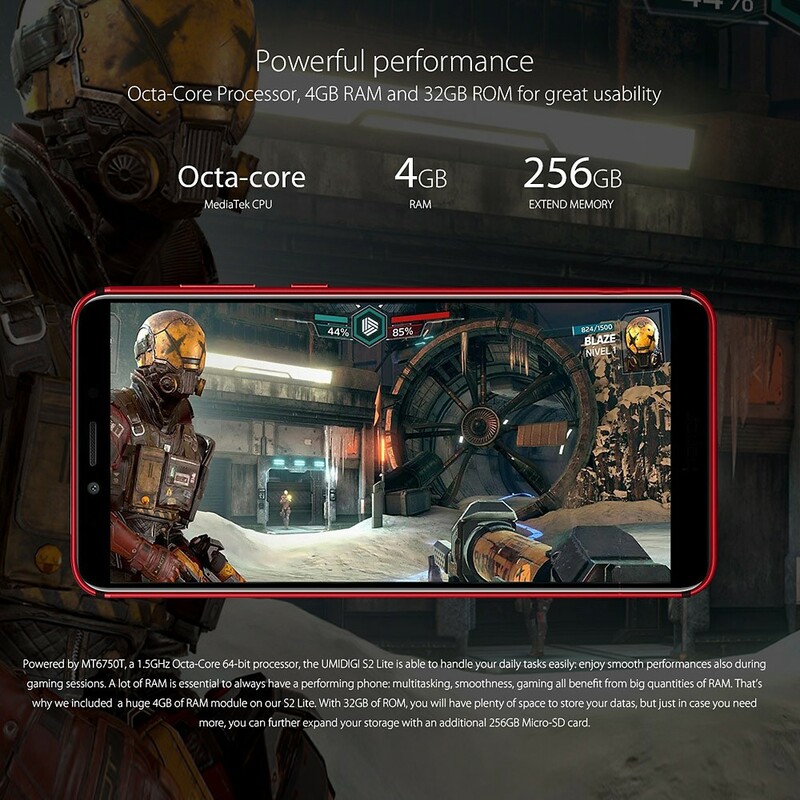 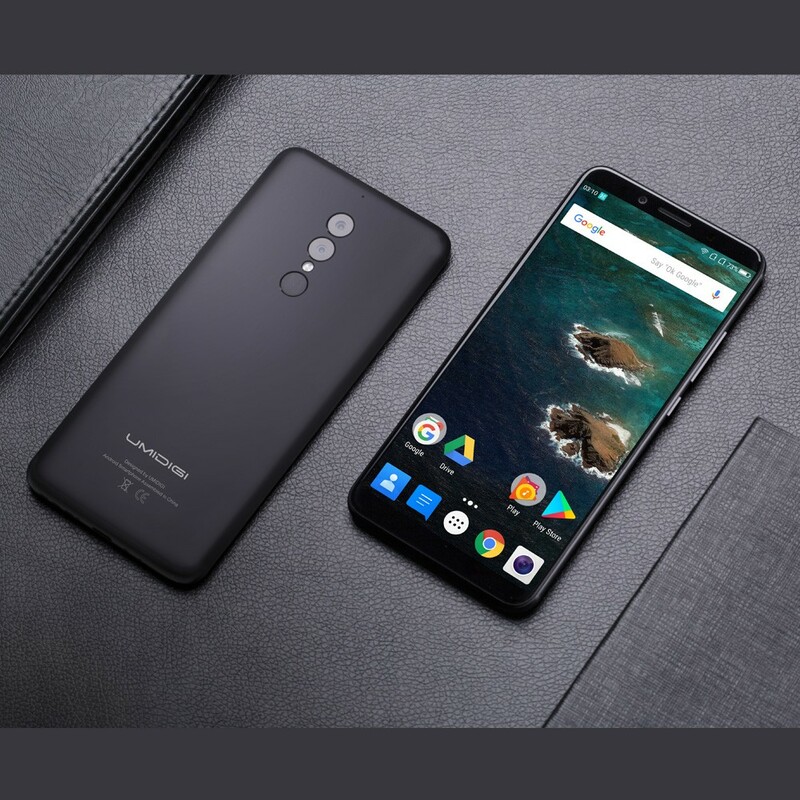 Powerful Performance: Powered by MT6750T, a 1.5GHz octa-core 64-bit processor, UMIDIGI S2 Lite is able to handle your daily tasks easily, enjoy smooth performance also during gaming sessions. 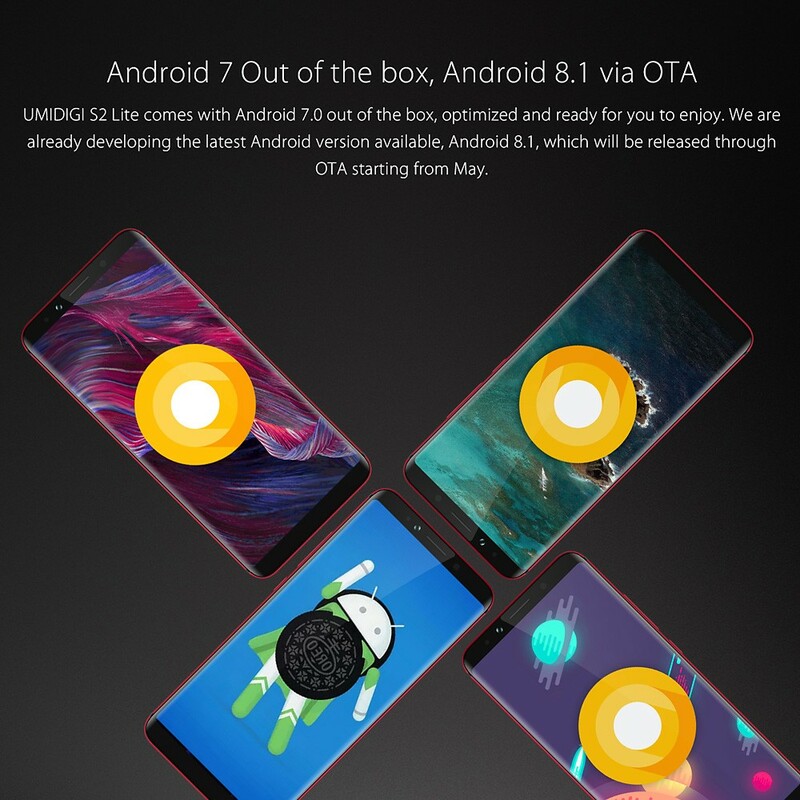 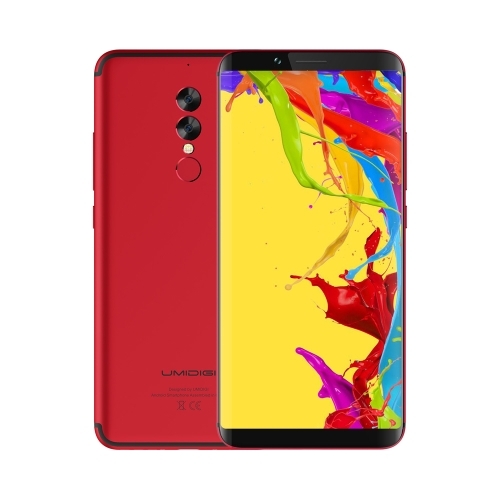 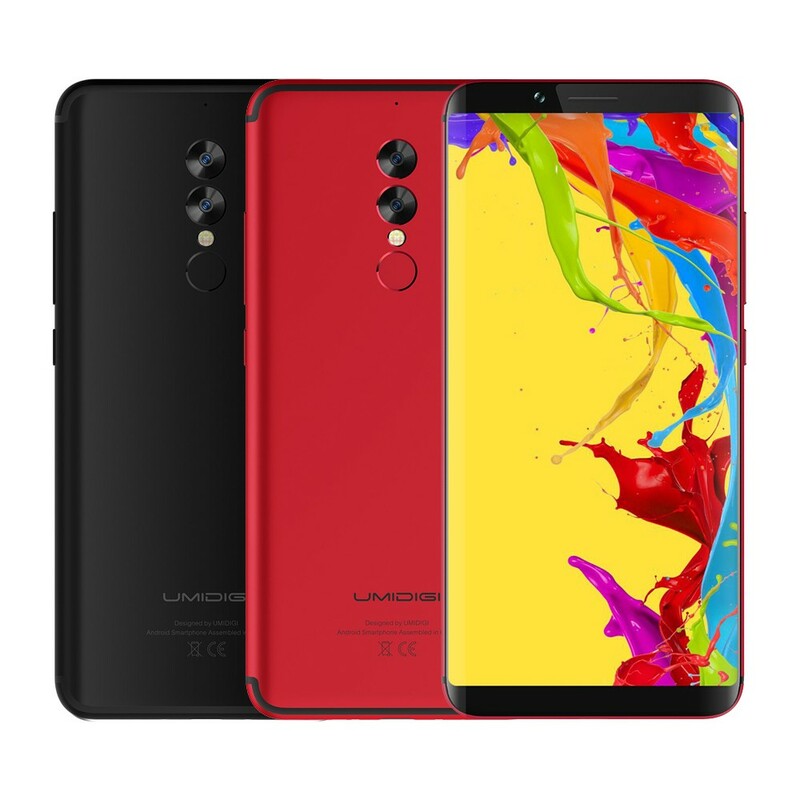 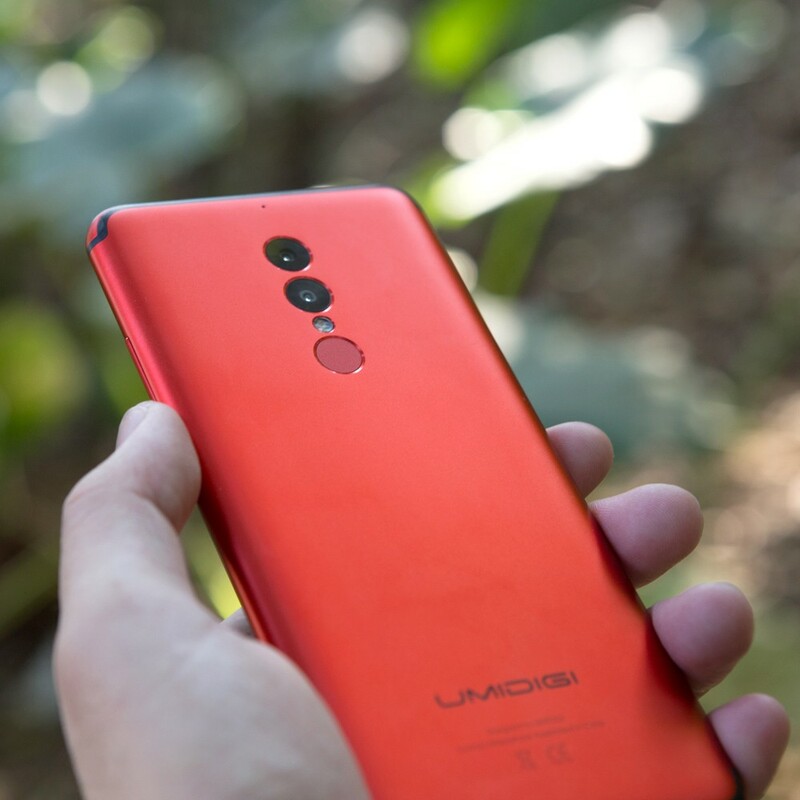 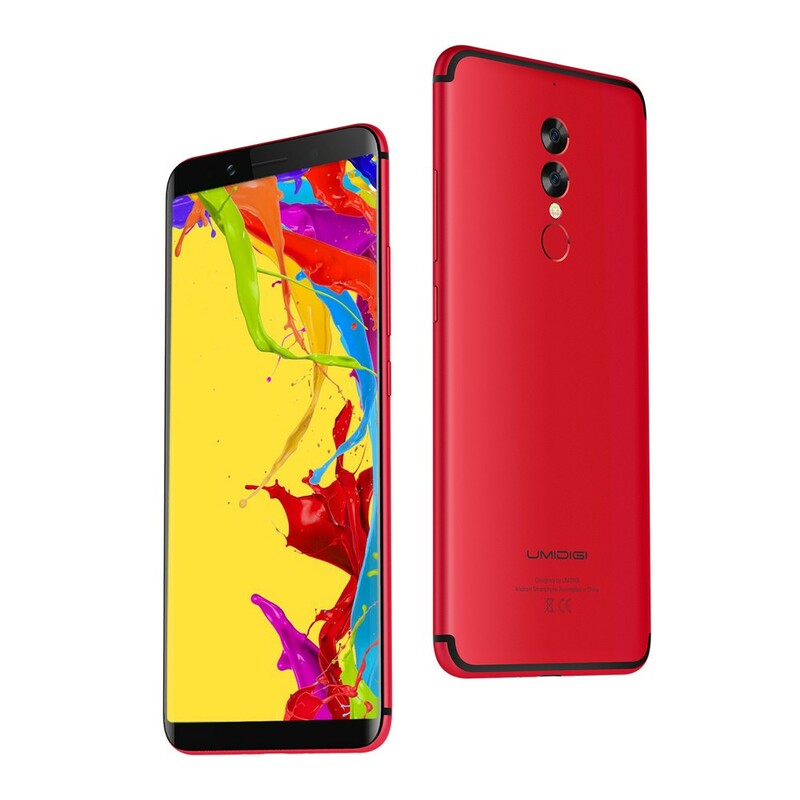 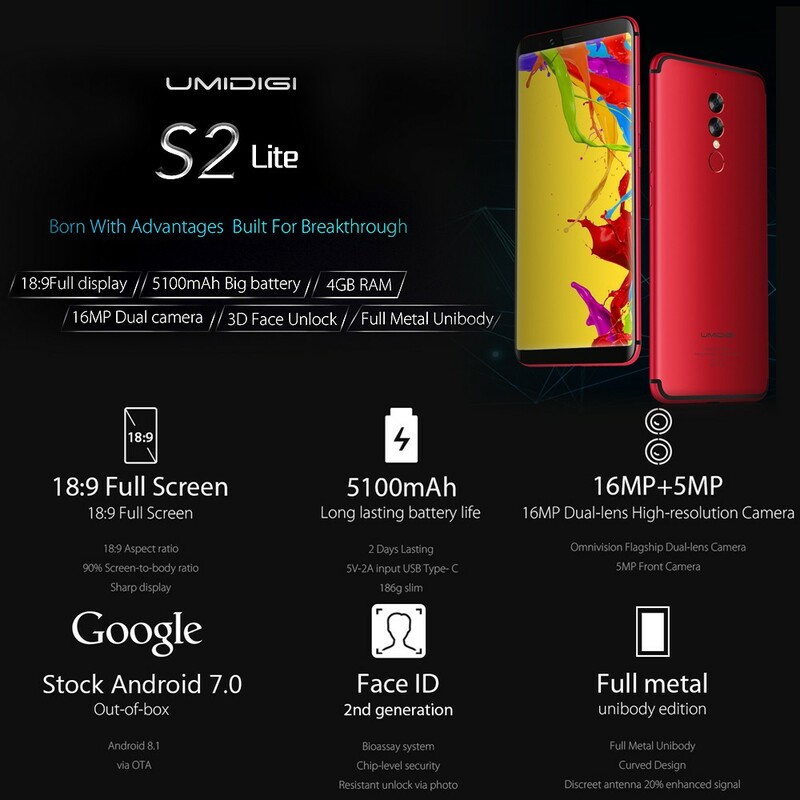 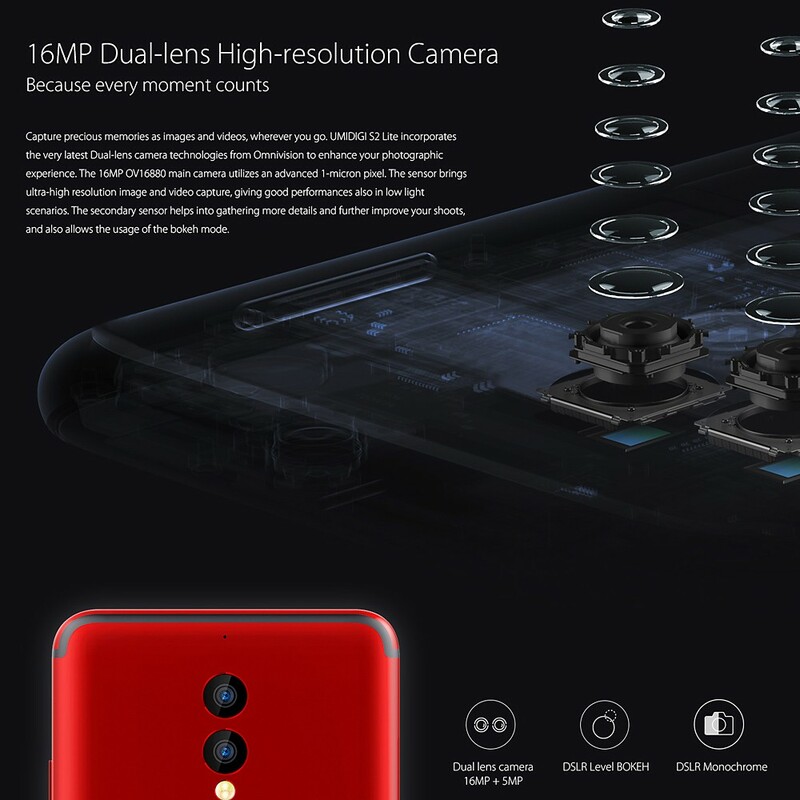 16MP+5MP Dual Back Cameras: UMIDIGI S2 Lite incorporates the very latest Dual-lens camera technologies from Omnivision to enhance your photographic, captures every significant moment in your life. 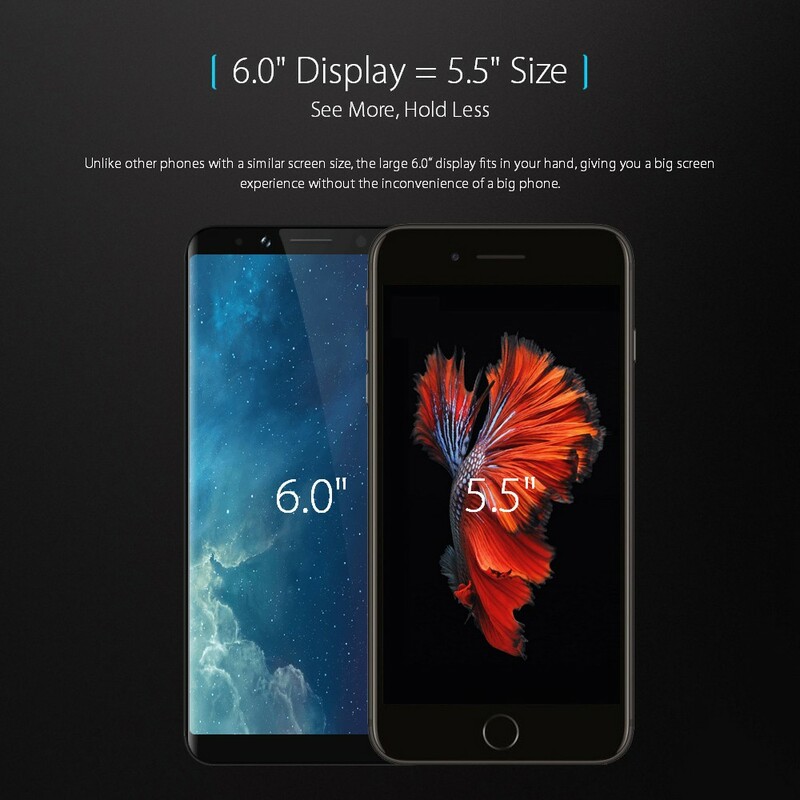 Other Features Messaging, Wallpapers, Calendar, Calculator, Clock, etc.